My own dream began to take shape, in waking hours, in the summer of 2002 while I was holidaying in France. We were staying in a lovely little house across the road from the owners, two Brits who had fled from Brighton and bought a place in France, thus acquiring their own dream. I fell into discussion with them about living the dream as I was floating in their pool beneath a cherry tree in full blossom. Although I had already sold my accountancy business, I was tied to the UK for my income because I still had relationships with a relatively small number of clients who I felt a duty to. And although the conversation in France reminded me about something I already knew only too well, that virtual working was easily possible, especially for an accountant, that wasn’t the way it worked with my clients. They liked me to come in. This came as no surprise to me as I’d seen that in action for the previous two decades. In fact, one of my colleagues used to send me emails which said – approximately – if you ever want to get out of here you must stop being so interesting. I brightened their days. Nevertheless, my desire to escape and start living the dream was strong. What I really wanted was to earn my living in sterling, doing work I loved, and spend it in euros and dollars in sunny places I thought I might prefer to be living in. I did still enjoy accountancy, but post the sale of my biz I was on the lookout for my next career. I had been five years in the looking by that summer of 2002. As luck would have it, no sooner had I returned to the UK than I heard about coaching and went to visit Thomas Leonard, the grandfather of coaching, at a venue which was walking distance from where I was living at the time, in London’s West End. It was a 2-day event put on by Coachville which TJL had moved onto from CoachU, which he founded, and by the end of the two days I was signing up to learn how to become a coach. Of course, I don’t believe that was luck; it was synchronicity as my dream, now formed, started to take shape. I knew this was it. I knew I could coach clients all around the world via Skype from anywhere that would work time-zone wise. I also knew I’d been coaching my accounting clients, that had been my special sauce, it was what they liked best about me. And yet initially I resisted that as my niche. After twenty years with small business owners and entrepreneurs, I wasn’t sure I wanted to spend any more time with them. I knew their special needs. So I started the coach training and by early the following year I was working with my guinea pigs and had started a massive acceleration of my personal development work on myself, so as to be of even more value to my clients over and above 20 years as an accountant in my own business and a couple of coach training courses. None of us ever feel good enough, it seems. And I also started my search for the perfect place to live and work where the time zones worked with my mainly European client base and where the UK business day had at least a 50% crossover. That’s become easier in the last decade as I’ve got used to being both a client and a coach with people in other countries. I’ve worked with freelancers in Canada, five hours behind. And clients in the USA seven hours behind, and those in Australia and New Zealand nine to eleven hours ahead. I fell in love with La Paz, in Mexico. But it is a whole business day behind the UK. That’s too much. You’d never cross over. I liked Dubai. It’s four hours ahead. It’s sunny all year-round and very high tech. But it wasn’t perfect and, again, as luck would have it, in December 2006 I landed on an island in the Caribbean called Sint Maarten a.k.a. SXM, its airport code. 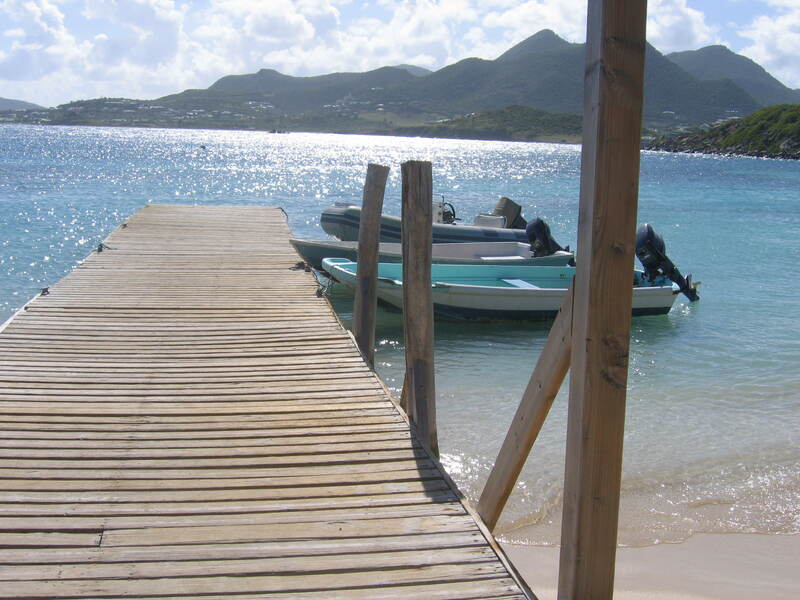 SXM has two sides to the island, one Dutch and the other French. The French side is called Saint Martin and this was my place. SXM is four to five hours behind the UK and it appears to suit all my needs. It is somewhat more laid back than the UK but I knew I could be happy there. Further visits in December 2009 and December 2010 confirmed it and the intervening years have been spent (wasted?) putting my affairs in order, training to attain my dream. If those affairs were only down to me, I should have been there much faster. Ah, life. But now it seems as though I may be off. I have accepted an offer on my home in London and it looks as though I shall be spending the summer and autumn in Normandy in France which will feel like having my training wheels on. My plan (as at today’s date) is to go to Saint Martin on 1st December which is the first day after their hurricane season ends. I don’t feel brave enough in my first year to take on hurricanes too, it is quite enough at this stage of my life to be embarking on this adventure at all. The story I like best, which explains why SXM is the dream place for me, is this. When I was last there, I was staying on the French side of the island with my best friend and we were sitting and reading in the pool when suddenly I realised how unfeasibly happy I was. And so I looked up and said out loud “I’m really happy here” and she said, simply, “I know you are”. Many have asked me to explain this island’s appeal for me and I can’t do it any better than that. I’m just happy there. And I am clearly not alone. Since that time I have joined a couple of Facebook groups and made friends with many who also fell in love on their first visit to my island. I cry happy tears when I land and sad ones when I take off. Nuff said. I am mostly happy in the UK too, except for the weather. As I write this today, on 8th May 2016, the weather in the UK is spectacular – 26 degrees and hot and sunny on a Sunday lunchtime. If it were like this all the time, would I be thinking about moving still? Yes, I think I would. I was born a traveller, with my Dad in the British armed forces, and that’s in my DNA. I’ve been stuck in London far too long and it’s time for my own adventures to begin. It’s time for me. I haven’t chosen this precise time; it’s chosen me. Do I feel ready? Yes and no, but I’m coming… ready or not. I look forward to reading all about your dream of living beyond the laptop and I shall be writing more about my dream as it becomes reality.